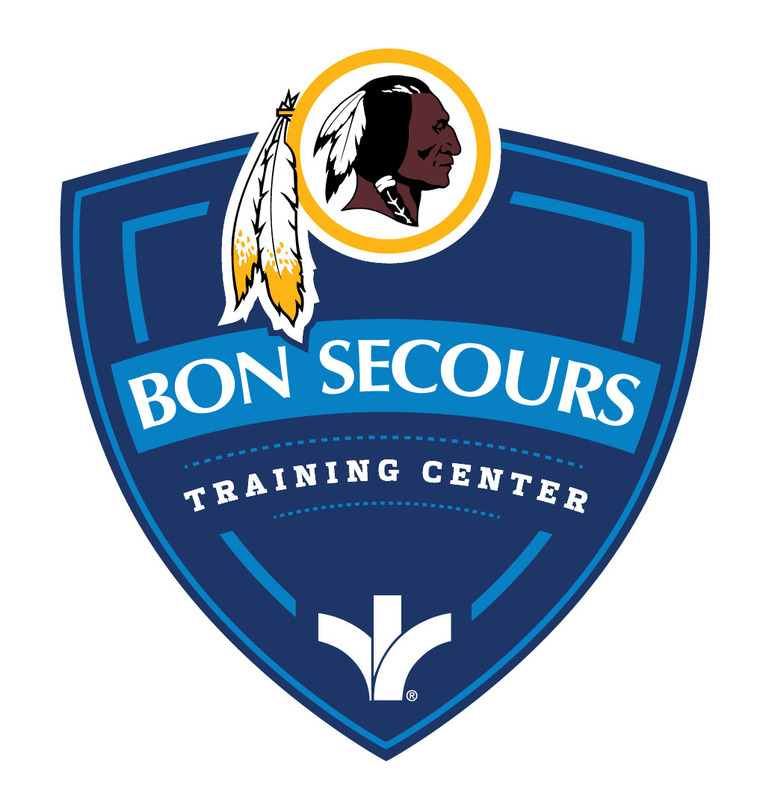 Stay up-to-date on the construction of the Bon Secours Washington Redskins Training Center with this interactive webcam. Select any date and time to see what happened on the construction site that day. Images are updated every 20 minutes to provide a fresh look at the jobsite. Click here to view. - All non-veteran residents of the Freedom House shelter programs have been transitioned to permanent housing or are being served by CARITAS, Commonwealth Catholic Charities, HomeAgain, and the Salvation Army. Freedom House is working on a separate plan to serve its 12 veteran residents. - Freedom House is in conversation with other community partners about the meals program previously located at the Conrad Center. 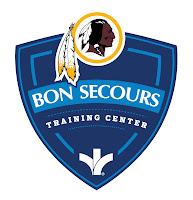 Meals will continue to be served at the Conrad Center through the end of this week. Breakfast and dinner are being served today through Friday, and one meal will be served on Saturday and Sunday. More details on this will be released as information becomes available. If someone needs assistance with food, they should call 2-1-1 or FeedMore’s Hunger Hotline at (804) 521-2500. - Commonwealth Catholic Charities’ Homeless Point of Entry is operational as before. If you are in need of emergency shelter, Homeless Point of Entry can be reached at (804) 648-4177. - Homeward, the Richmond Department of Social Services, and other homeless service agencies will review this past year’s winter shelter programs and assess the needs of the community as well as new sites and new models for meeting this need next winter and beyond. - While there may not always be enough resources to meet the needs of those in a housing crisis, residents should call 2-1-1, a free information and referral center staffed by professionals 24 hours a day, for the latest information and resources to address their needs. 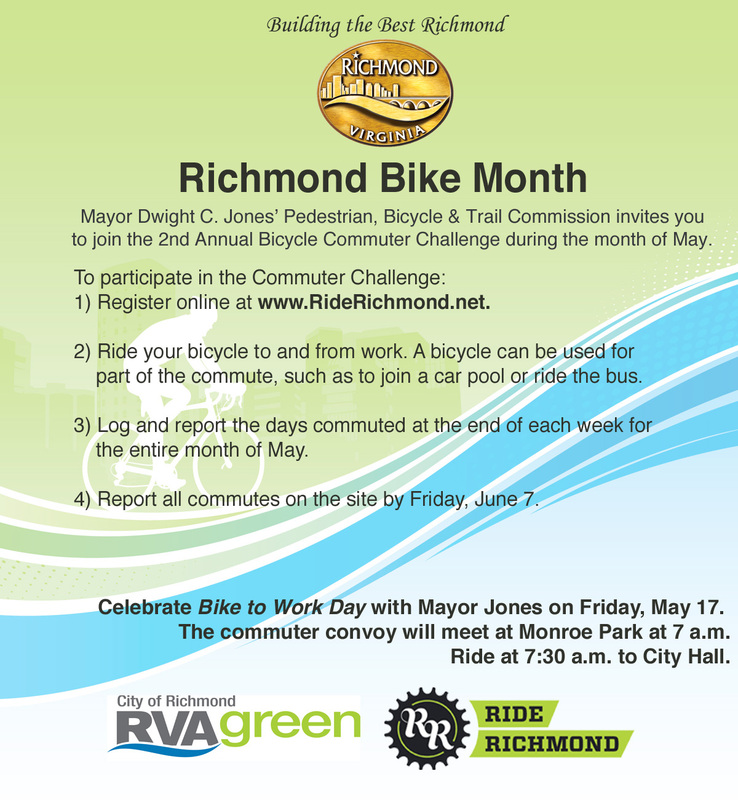 Mayor Dwight C. Jones’ Pedestrian, Bicycling, and Trails Commission invites the city of Richmond to participate in Richmond Bike Month during May. The goal of the 2nd Annual Richmond Bicycle Commuter Challenge to show how easy, affordable, and healthy bike commuting can be. Participants are encouraged to ride their bicycle to and from work, and report days commuted at the end of each week for the entire month of May. Riding a bicycle for only part of the commute, such as to join a car pool, ride the bus can still be counted. Participants can register now online and log their weekly commutes at www.riderichmond.net/bike-month-commuter-challenge. All commutes must be reported on the website by Friday, June 7, and the results will be announced by Friday, June 15. “This is an opportunity to encourage everyone to try bike commuting and possibly make cycling a routine as well as a healthy travel option for commuting or running errands. Richmond Bike Month will also allow Richmond area cyclists to see the City’s infrastructure improvements, including widespread bike parking racks and improved bike routes across the city,” said the City’s Bicycle Coordinator Jakob Helmboldt. 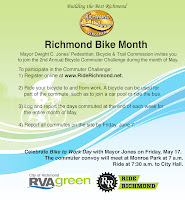 Mayor Jones and the Pedestrian, Bicycling, and Trails Commission will celebrate Richmond Bike Month on Friday, May 17, 2013, at 7 a.m. during the Bike to Work Day rally at Monroe Park, 620 West Main Street. The public is encouraged to attend and participate by bicycling to work that day. Motorists, bicyclists and pedestrians have shared rights and responsibilities when using city streets. Please see the following safety tips and laws. A front light and rear reflector are required after dark. On roads with posted speeds of 35 or greater a red taillight is also required. A taillight is strongly recommended any time after dark. Motorists are required to allow at least two feet (2’) of clearance when passing a bicyclist, and do so at a safe speed. Bicyclists may “take the lane” when appropriate; bicyclists are required to ride as far right as safely practicable, but there are five (5) exceptions that apply to most city streets. See the tips below for more details. Bicyclists may ride two abreast if they are not impeding traffic. A bicyclist should use the same lane as they would be if they were driving a motor vehicle. Use right and left turn lanes, and proceed straight through an intersection from a through lane, not a turn lane. Riding on the sidewalk is legal, however a bicyclist must yield to pedestrians, and when crossing the street has the same rights and responsibilities as a pedestrian. Always yield to pedestrians when you are obligated to (see the yielding laws below), and announce when you are passing from behind if on a sidewalk or shared use path. Helmets are not required by law, but they are recommended and are cheap insurance in the event of a crash or fall. Pedestrians are to cross, whenever possible, at intersections and crosswalks. Unmarked crosswalks carry the same yielding requirements for motorists as do marked crosswalks. Unmarked crosswalks exist at almost any intersection within the City. It is where sidewalks lead to the intersection, or if there are no sidewalks an unmarked crosswalk still exists at the intersection if the speed limit is not greater than 35 MPH. Drivers must always yield to pedestrians legally crossing the street when turning (right or left). Drivers must yield to pedestrians when entering or departing the street at alleys, driveways and commercial entrances. Lights at night help ensure you are seen by motorists, as well as allowing you to see the roadway and any hazards. Small LED lights can also be used during the day to make you more conspicuous. Low light conditions (sunrise and sunset) can result in shadows and glare that obscure a cyclist from a motorists view. White lights on the front, red lights on the rear. Using the wrong color lights can be confusing for motorists to determine which direction you are riding.Reflective material on your legs or feet is more noticeable since they are in motion. A pants strap with reflective material serves a dual purpose. Always yield to pedestrians when on the sidewalk. Ride at a slow speed and watch for pedestrians coming out of doorways or around corners of buildings. Driveways and alleys present blind areas where vehicles can’t see fast approaching bicyclists. Motorists often aren’t looking for, or expecting a fast moving bicyclist on a sidewalk or in a crosswalk. Biking on a sidewalk against traffic also violates expectations of where a bicyclist will be encountered.Bicyclists along a row of parked vehicles may not be visible to turning motorists. A “substandard width lane” is one which is too narrow for a motor vehicle and a bicycle to safely and legally occupy side-by-side. That includes most city streets. You are more visible when positioned in the travel lane and not weaving in and out of traffic. You also avoid the parked car “door zone” where an opening door can cause a crash or a swerve into traffic. Sharrows are placed in the lane specifically to improve positioning and to communicate the understanding that bicyclists will be sharing the lane or roadway. Walking in the street – Sometimes sidewalks are not available, making walking in the roadway necessary. Always walk facing traffic when in the roadway. It is the law and is much safer. Communicate your intentions to cross the street. Motorists will be more likely to yield if you give them visual cues; eye contact, stepping off the curb, or even a wave or hand motion. Lights and/or reflective material is a good idea if walking or jogging at night. Alcohol use/impairment is a major contributor to pedestrian crashes. Streetlights can cast shadows and glare. Don’t assume you can be easily seen at night. Hundreds of local volunteers, including Comcast employees and their families and friends along with representatives from the City of Richmond; the Mayor’s Participation, Action, and Communication Team (MPACT); Friends of Byrd Park, Clean City Commission, and Sierra Club – Fall of James chapter; and students from Virginia Commonwealth University and Virginia Union University, pitched in to help beautify Byrd Park on Saturday, April 27 as part of “Comcast Cares Day,” the company’s annual nationwide day of service. Volunteer projects included planting and landscaping, cleaning and repairing the Ha’Penny Stage, clearing debris along the historic bridal path and cleaning alleys and sidewalks. Volunteers also collected over 50 bags of trash, mulched over 60 trees, and replanted, mulched, and cleaned the entire Davis Street median near Byrd Park. Now in its 12th year, Comcast Cares Day has become the largest single day of corporate volunteering in the country. This year, more than 70,000 volunteers participated in more than 700 projects nationwide and, for the first time, internationally with projects hosted by NBCUniversal in England, France, Germany and New Zealand. Since the inception of Comcast Cares Day in 2001, more than 500,000 volunteers have contributed more than three million hours of service. “From painting the Ha’Penny Stage, to improving the landscaping around the tennis courts and Roundhouse, to removing graffiti and stickers from signage, Comcast’s investments in Byrd Park shall be celebrated by the community for many years,” said 5th District Councilman Parker Agelasto. Comcast has been committed to serving local communities since its founding 50 years ago. For more information on Comcast’s volunteer and community investment initiatives, visit www.comcast.com/community. The Comcast Foundation was founded by Comcast Corporation in June 1999 to provide charitable support to qualified non-profit organizations. The Foundation primarily invests in programs intended to have a positive, sustainable impact on their communities. The Foundation has three community investment priorities—promoting service, expanding digital literacy, and building tomorrow’s leaders. Since its inception, the Comcast Foundation has donated more than $123 million to organizations in the communities nationwide that Comcast serves. More information about the Foundation and its programs is available at www.comcast.com/community. Byrd Park is a 287-acre park in Richmond and is one of the city’s most popular parks. Spread along both sides of The Boulevard and Blanton Avenue starting at the Columbus Statue you will find Fountain Lake, a self-lighted tennis complex for anytime play, and two softball fields. Sunbathing and pedal boat rides at Fountain Lake are popular in the summer, and a full-service concession building at the lakes offers snacks, lunch, restrooms and free Wi-Fi during the summer season. Further south to the east of Blanton Avenue are Swan Lake, Sheilds Lake, the Round House, which can be used for small meetings, and the Vitacourse, an exercise trail popular year-round. At the southern end of Blanton Avenue are the park's historic World War I Carillon, the Dogwood Dell Amphitheater and Ha'Penny Stage, additional picnic shelters, a children's playground, and the popular Barker Field Dog Park.